Try all four cleaners at one convenient price, containing one sample bottle of each of our environmentally friendly cleaning products! 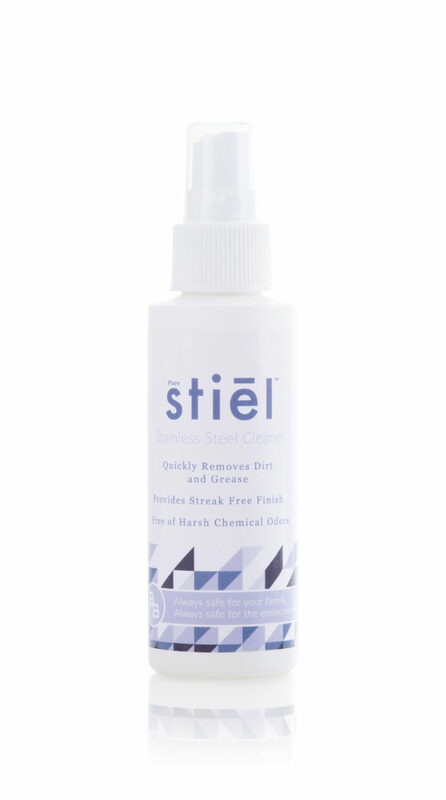 Get a streak-free finish with Pure Stiel, it quickly removes dirt and grease. Quickly remove dirt and grease and get a streak-free finish with True Veue. Clean, restore, and protect your natural surfaces while providing a non-greasy, streak-free finish with Daily Stohn – Sweet Mint & Daily Stohn – Meyer lemon. Best of all, each of our products are safe for your home and our environment. Each sample pack contains 4 x 4 oz bottles.